Seat up to eight dinner guests with our expandable Heywood Double Pedestal Table. Each is handcrafted from trustworthy kiln-dried American hardwood. 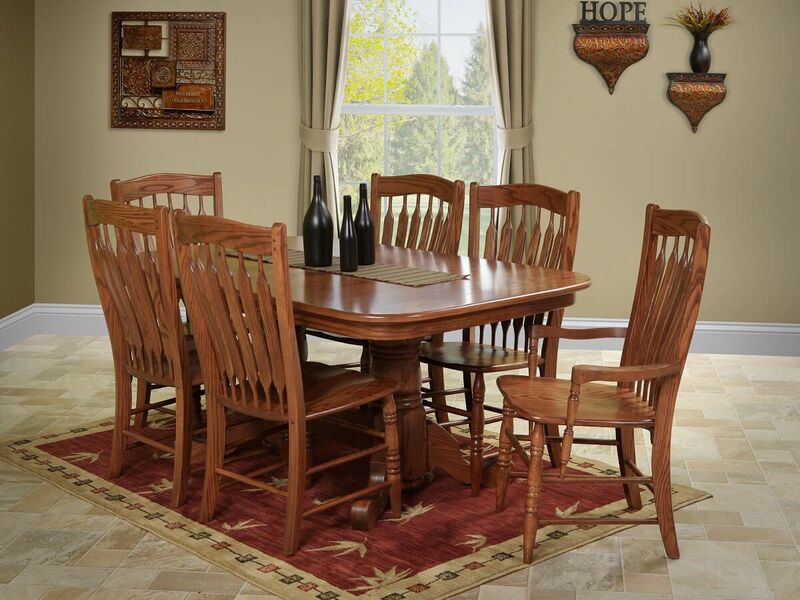 This powerful wooden dining table transforms any room with the majesty of its magnificent American hardwood and the strength of its durable, double pedestal. Countryside empowers you to create the Heywood that brings warmth and light to your home with the myriad of options available. Each foot of the double pedestal is equipped with a leveler that makes adjusting the eating surface a cinch. Heywood's heavy base supports a one inch thick table top in your choice of responsibly harvested hardwood. Two shapes and four edge profiles are up to you which refine the character of your Heywood Double Pedestal Table. Beyond those choices, you may opt for up to four self-storing leaves, a variety of stain colors, and which companion pieces you prefer. 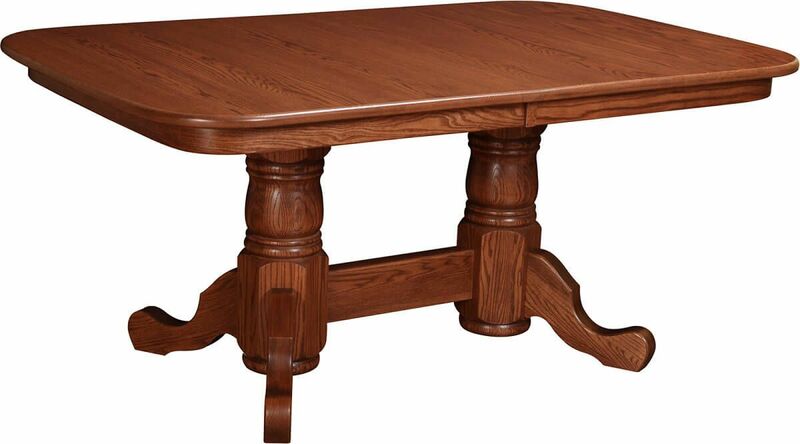 Sturdy, distinguished, and versatile, your Heywood Double Pedestal Dining Table is an heirloom quality piece. If you prefer the Heywood as pictured, order in Oak with a Sassafras finish. **Floor to apron clearance is 26 1/4"H.